Talavera-Ballón and his wife Mariela @ the Transbay Transit Center, San Francisco. 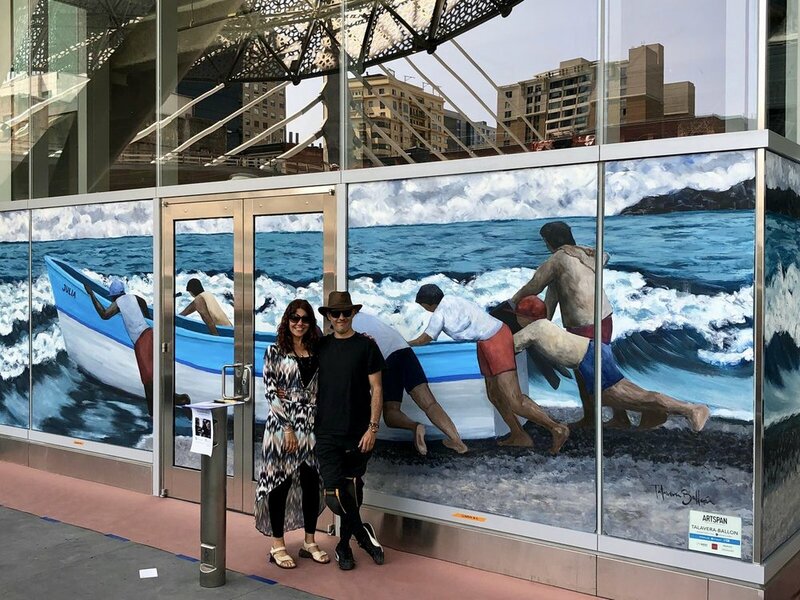 One of the most striking murals currently on display is Talavera Ballon’s “Desafiando la Marea” (Defying the Tides). You may recognize Talavera’s style from past murals he’s done co-conspirator Joshua Coffy. This mural was Talavera this time around, told us this particular design was inspired by a scene at Playa Gigante, a small fishing village on Nicaragua’s Pacific coast.